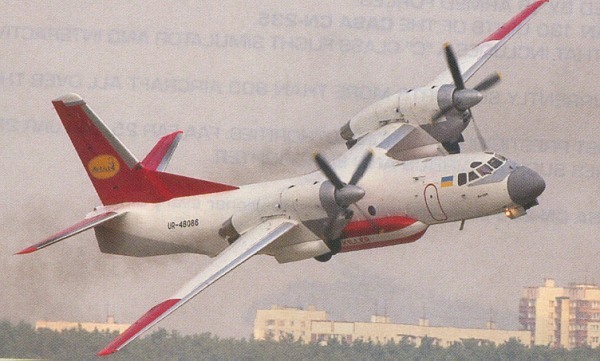 The An-32 is a direct development of the An-24 by the Ukrainian company Antonov. The An-32 is useful to transport cargo, paratroops (39 fully equipped), light vehicles over small and medium ranges. Characteristic are the two turboprop engines which are mounted above each wing. The An-32 is/was used by some countries like: Cuba, India, Mongolia, Peru and Sri Lanka.